A well-written mystery/suspense novel with a great plot! 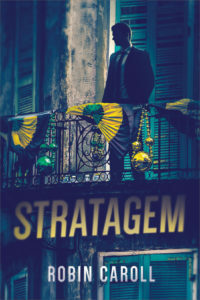 I am a fan of Robin Caroll’s books and Stratagem definitely lives up to the standards I expect from the author. The plot is full of twists and turns, red flags and red herrings, and well laid-out details that I couldn’t be sure who was the perpetrator until near the end. Grayson is a great character, full of compassion, tenderness, and intelligence. From page one, Grayson pulls the reader into his world of pain, grief, and regret. Brandon and Danielle, the two detectives from New Orleans Police Department investigating Grayson’s ex-wife’s death, have a nice professional partnership and bring a voice of reason to order all the clues in a sequential manner. 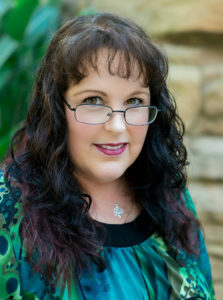 The theme of forgiveness is prominent in the story and Grayson’s sincere desire to forgive those who wronged him in the name of Christ endears him even more. If you enjoy well-written suspense, you will absolutely enjoy this book. I was given a copy of this book from Barbour Publishing via Celebrate Lit Tours and was under no obligation to post a positive review. All comments and opinions are solely my own.